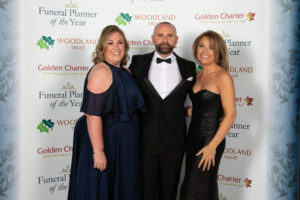 Clydebank & West End Funeral Director J&T McColgan has been named the best medium sized funeral planner in the West Dunbartonshire/Greater Glasgow region at this year’s Funeral Planner of the Year Awards, run by funeral plan provider Golden Charter. Hosted by radio DJ Ken Bruce, the awards took place at the spectacular National Museum of Scotland in Edinburgh and featured a performance by the world-famous Red Hot Chilli Pipers. In addition to the Funeral Planner of the Year accolade, the Woodland Trust has dedicated trees on behalf of J&T McColgan which are to be planted locally at a Woodland Trust site in recognition of the company’s achievement. “The respected and caring work of independent funeral directors within their local communities often goes unrecognised and so it gives me great pleasure to congratulate the team at J&T McColgan for their tremendous achievement in winning this award. 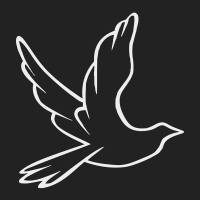 The Funeral Planner of the Year Awards celebrate the independent funeral directors who are excelling in promoting pre-paid funeral plans, and by doing so providing peace of mind for families that everything is taken care of.